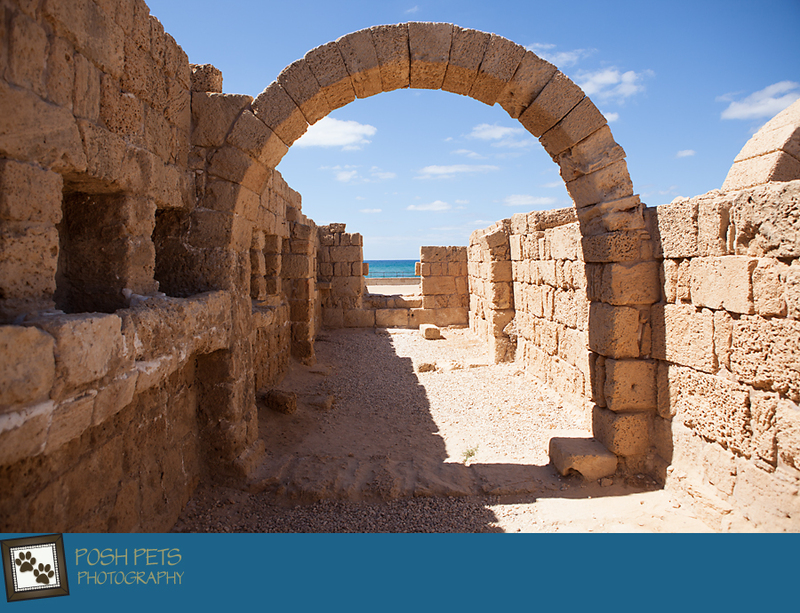 A few days ago we spent some time in Caesarea, specifically amongst the ancient ruins that date from King Herod’s time. 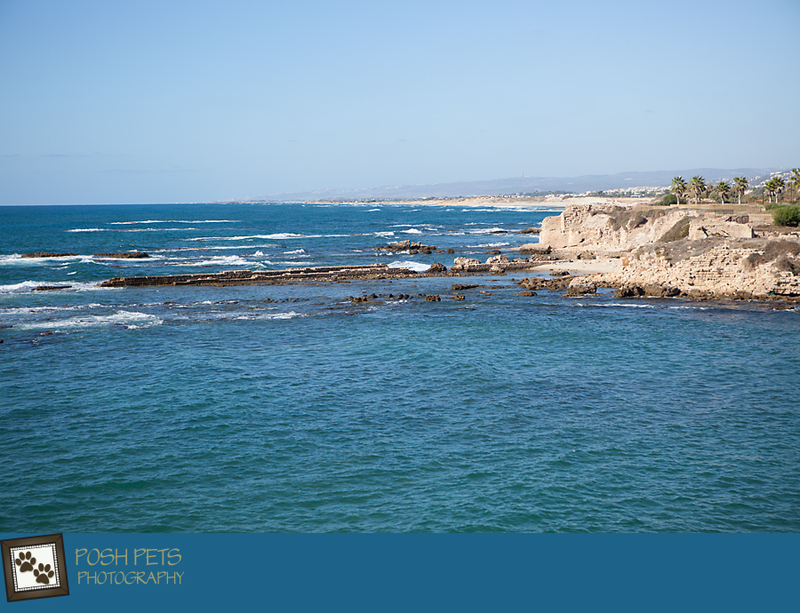 The views of the Mediterranean Sea were stunning and it was somewhat overwhelming to stand on the remains of what was, at one time, the busiest port and to imagine what life was like. 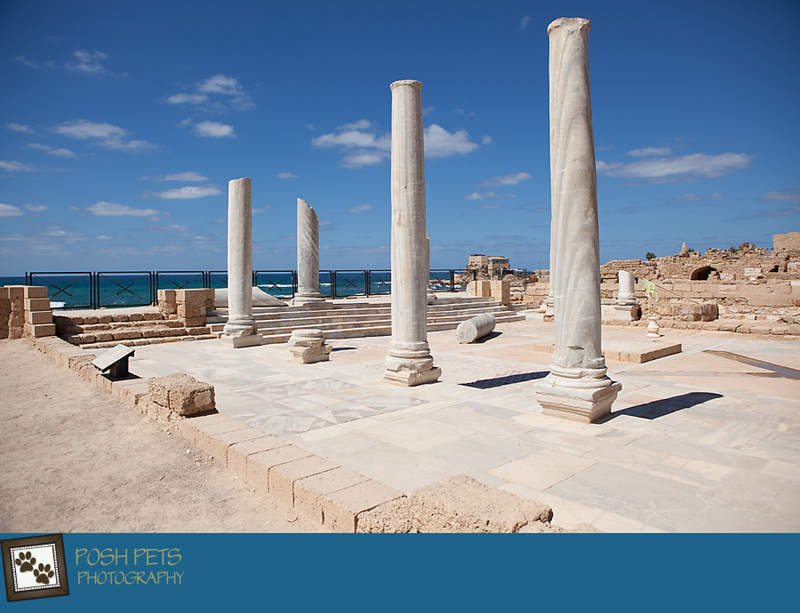 Today, Caesarea has been revitalized with art and jewellery stores together with some amazing restaurants where you can sit and enjoy the view. One thing we did notice as soon as we got there was that there seemed to be a lot of cats enjoying the view (and the friendly pats from the tourists!) as well. The first one we met was Tommy, as the staff told us. A seemingly homeless cat who had a name and looked as good as he did…well, we knew that there had to be someone caring for him. A little while later, we noticed a sign with an arrow saying, “Cat’s Corner”. We couldn’t resist and so off we went to explore a bit. We came upon a little shop named Cat’s Corner just as it was evidently supper time. For there was the shop keeper banging a spoon on a table and feeding a group of cats. In speaking with her, she told me the story. She currently cares for approximately 30 cats who have all come from abusive environments. 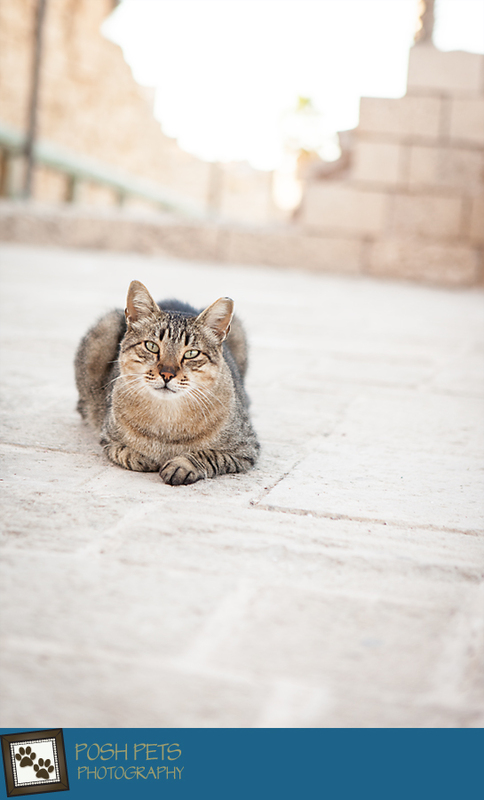 Caesarea has become somewhat of a refuge for these homeless kitties. Sometimes people just abandon them on the property for her to care for. Which is a better option than what others do. She has an arrangement with a kindly veterinarian who comes once a week, on a volunteer basis, to check up on them and to ensure that everyone is happy and healthy. And she tries to educate people that cats are loving creatures who should be treated kindly. Unfortunately, she explained, Israeli children seem to “come out from the womb kicking cats” and thus, most cats are scared of people. Her store has all kinds of cat-related items and she uses 10% of her profits toward the upkeep of her growing brood. She also gladly takes donations which one can place in a little basket. Although, for a time, they thought someone was stealing the money as some would go missing every day. It wasn’t until they made a point of watching very carefully that they found out who the thief was…the very same Tommy that we met! 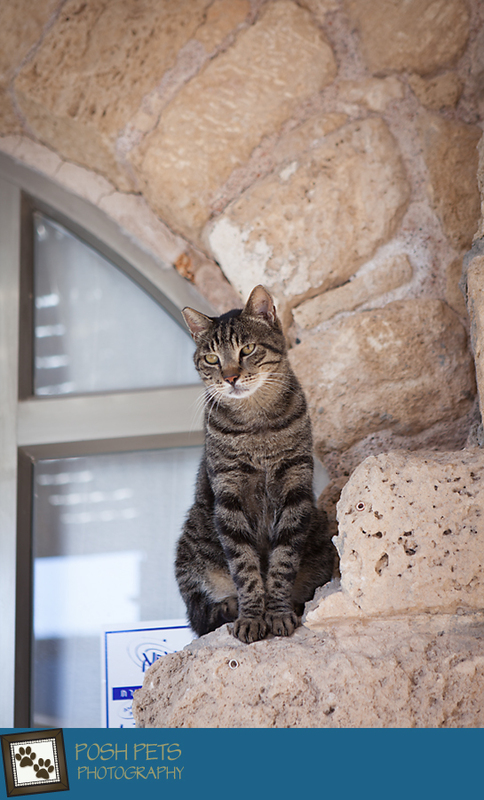 So, should you ever be in Israel, be sure to take in the views of Caesarea and visit Cat’s Corner…there will probably be more than 30 cats by then! This beautiful boy has a bit of a bald line on his flank. The reason? Someone wanted him away from their restaurant and so threw hot oil on him! 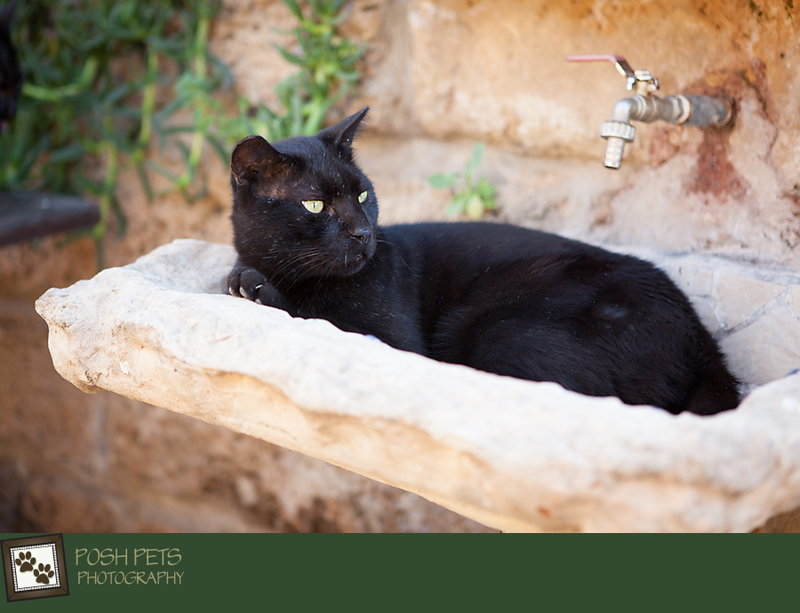 He was in agony, but has been nursed back to health in Caesarea and continues to seek out cuddles and gentle pets from people. This is Tiger who is still a bit shy of people but will watch you with great interest from afar.